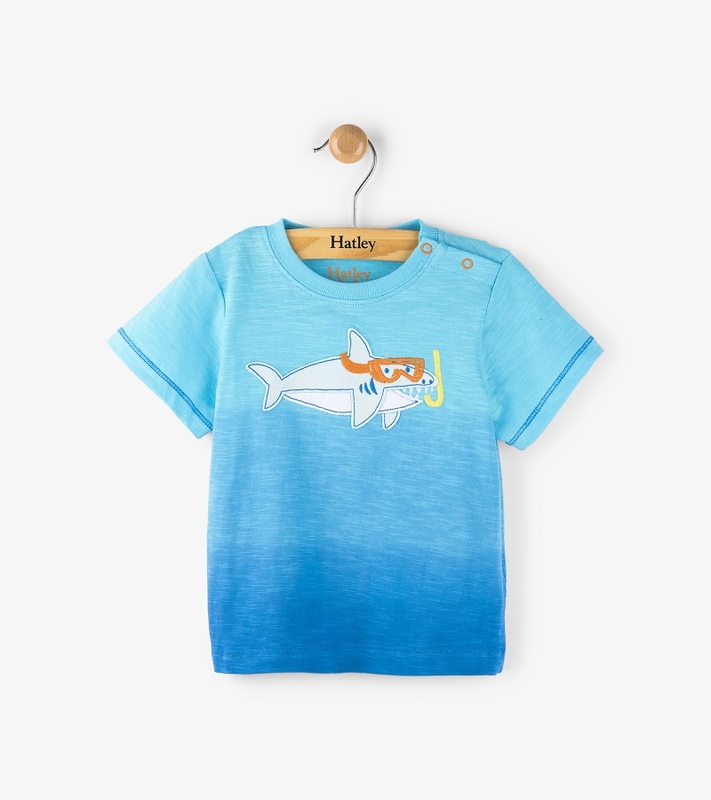 Grab your gear and head to the beach in this cute shark tee. The snorkeling shark is appliqued and there are 2 snaps on the shoulder for easier dressing. The colors of this ombre top are GORGEOUS and mimics the ocean depth. Machine wash cold, tumble dry low. Made of 100% cotton.